Saw this one on reddit. 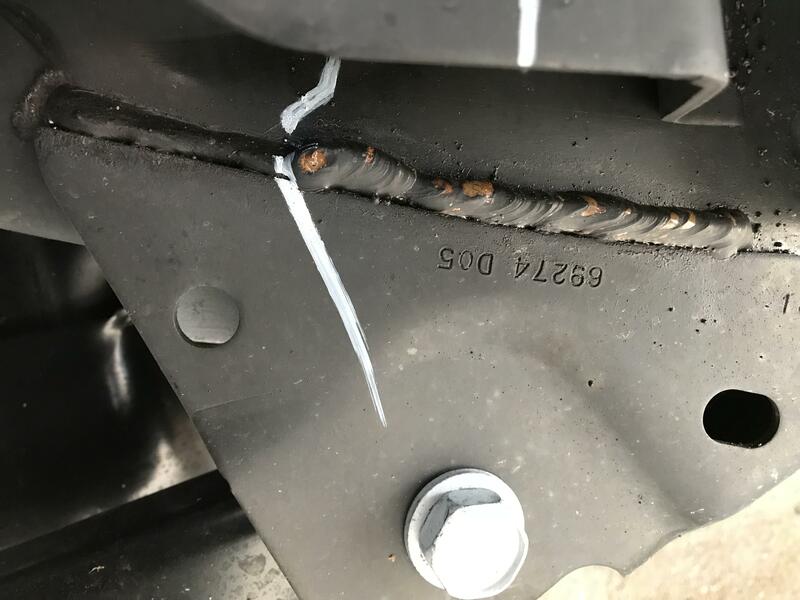 OP said people taking delivery after July 2018 should check their welds on the passenger side rear lower control arm bracket. Wonder if anyone else has seen a weld this bad? I havent seen the control arm issue, but have seen track bar mounts failing. Seems like FCA has some horrible welders employed at this point. I haven't seen any this bad as well but mine don't look great- and yes mine has been identified to be inspected as part of the recall.